Who would have thought it? I am making a mess in my daughter’s kitchen. 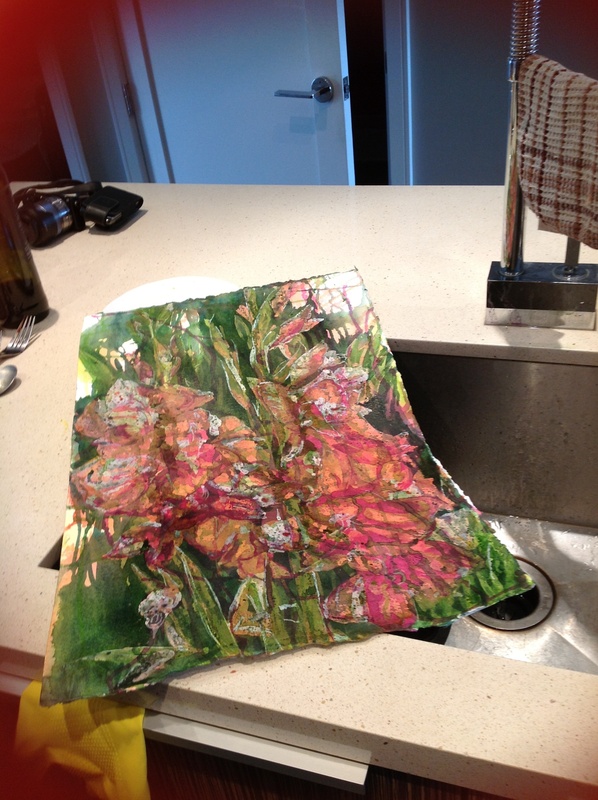 While she lovingly tends to her newborn baby boy Theo, in the hospital, I am in her kitchen pouring a painting! in this incredibly great for pouring sink! The permanent sap green gave me a bit of a fright…but with elbow grease, I managed to remove the evidence. Toss the Old Goat – and Apparently the New One Too! All Digital images of artwork on this site are the sole property and creation of Helen Shideler, therefore, images are copyrighted and may not be reproduced or used in any form without written consent by Helen Shideler.